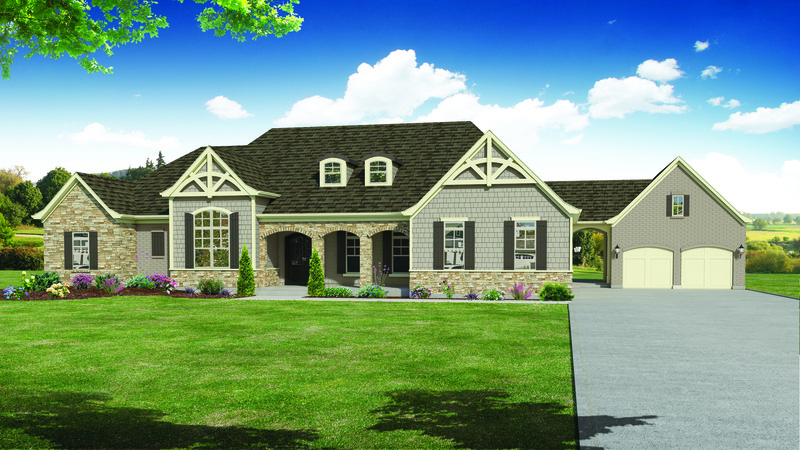 Clayton Douglas Homes has a market home entry for Cincinnati’s Homearama 2014 called Bella Noelle. The home show site is Carriage Hill in Liberty Township. This magnificent home features a barrel-vaulted ceiling in the central great room that stretches 12-feet high. A dual-level wine grotto will amaze guests who will also enjoy the home’s lower level features of a bar, media room and poker room. Bella Noelle features 4 garages including a separate destination garage port that is perfect for the person who likes to tinker. These are just some of the fine details of this home. Plan on touring it during Homearama from July 12-27, 2014. The home is priced at $1,500,000 and is available – see it here. Why buy this Homearama home? This showcase home has many upgraded features that are previewed during Homearama and these amenities are added value amenities for the homeowner. Interested in learning more about this home? Contact Madeline Hoge of the Sibcy Cline Northeast office. A small, family-run business that cares about quality without charging extra for it, Clayton Douglas Homes puts its focus on honesty, integrity and value. Doug Bryant, owner, has a passion of architecture, design and construction. He limits the number of construction projects yearly to give each home the attention from him that it deserves. He is a true on-site builder. This entry was posted in Buying A Home, New Homes/Developments, Real Estate and tagged Bella Noelle, Carriage Hill, Clayton Douglas Homes, Homearama 2014, Madeline Hoge by susanaknabe. Bookmark the permalink.